It is sad news for the family of a student of Usman Danfodio University, Sokoto, who died in a fatal car crash. She was reportedly killed in an accident while she was returning to school. 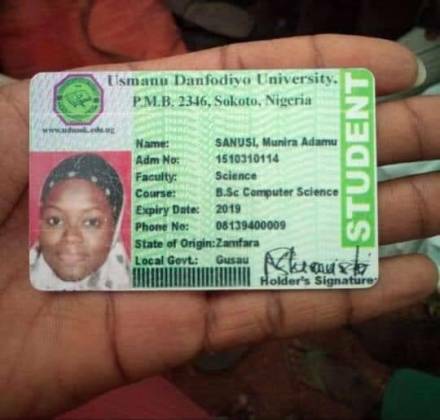 The final year student of Computer Science identified as Sanusi Munira Adamu died at about 4:30pm in the accident which occurred at Dange Shuni on her from Zamfara to Sokoto. How sad!